The UK leg of the Copa Jerez, a Sherry and food matching competition, is looking for applicants to emulate the success of James O’Donnell and Kevin Sutherland’s of edinburgh’s Number One The Balmoral restaurant who won the trophy in January 2007. The competition is for sous chef and sommelier duos, who can show the versatility of Sherry as a food wine. 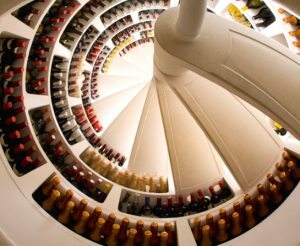 The Sherry Institute of Spain will pick 10 finalists, who will meet for a live cook-off on the 18th February 2008, putting together a three course menu, each course paired with a different style of Sherry. 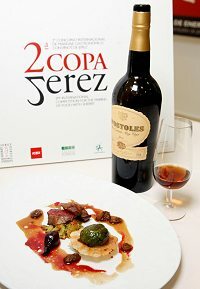 The winners will receive a gastronomic tour of the Sherry region of Jerez, and become the UK entrants into the Global final, held in Jerez in 2009. Closing date for applicants is the 31st December, contact Peter Griffiths on 01564 776 842 or peter@salonculinaire.co.uk. Familia Zuccardi has been awarded the international title of ‘Innovative Wine Tourism Experience’ for their visitor centre at the 2008 ‘Best Of Wine Tourism’ Awards. The annual awards were announced at a ceremony in Oporto, Portugal last month. The Zuccardi visitor centre was cited by the judges as being “among the most impressive, comprising vineyard and winery tours, encompassing tastings, a gourmet restaurant and even an art museum”. 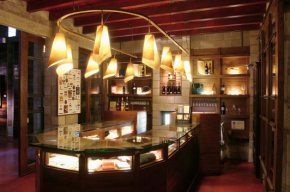 The Zuccardi Visitor Centre opened in 2004 and attracts around 45,000 visitors each year. Situated half an hour east of Mendoza City, visitors are able to sample traditional Argentine food – empanadas cooked in the oven, dulce de leche and barbeques – paired with Zuccardi wines and olive oils. 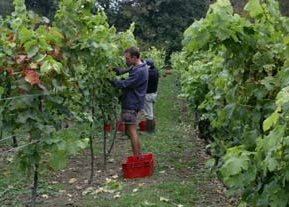 Bookers Vineyard, West Sussex, is inviting you to “Treat the wine enthusiast in your life to the Ultimate English Wine Experience, ” with a package that comprises a half day viticulture course including a tour of Bookers vineyard and winery. Visitors will “learn about winemaking from grape to glass and take part in a tutored tasting to learn how to evaluate and appreciate fine wines, and identify flavour characteristics.” The tasting session will also explore how factors such as climate and growing conditions impact on the winemaking process in England compared to other wine producing countries. At the end of the course guests will enjoy locally produced cheeses and biscuits, matched with a selection of Bookers’ wines. The Experience is available from buyagift.co.uk, priced £75.00.